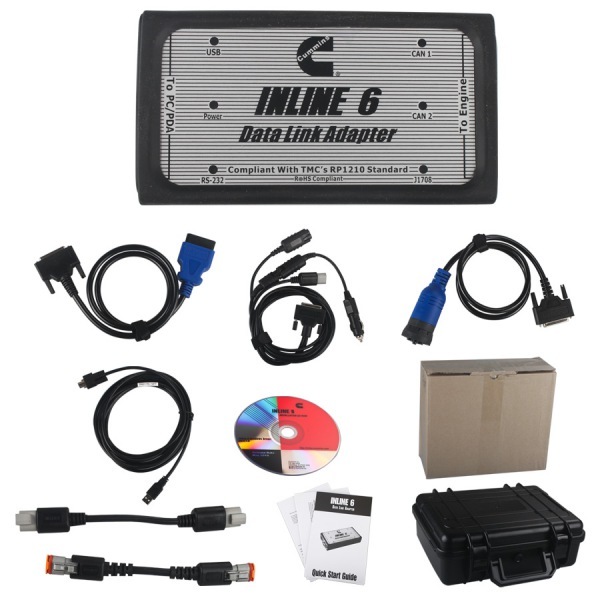 To install the INLINE 6 USB hardware, power up the Cummins INLINE 6 Data Link Adapter by plugging in the USB cable provided with the kit to the INLINE 6 and the PC. WINDOWS XP – The Found New Hardware wizard should be displayed. On the first screen, select “Install the software automatically (Recommended)”. Click “Next” to continue. A message may appear “This software has not passed Windows Logo Testing……” Select “Continue Anyway”. Click “Finish” when installation is complete. WINDOWS VISTA/WINDOWS 7 – No action is required. The system tray should display a balloon stating “Installing Cummins Inline 6”. NOTE: If there is a previously installed INLINE 6 driver, you may need to remove the older driver before proceeding. 2017.03 MB SD Connect C5 With Super Engineering Software DTS Monaco And Vediamo Plus EVG7 Tablet Support Offline Program is our cnautotool hottest benz diagnostic and program tools. You can get it work directly after you receive the full set. Before shipping, we have installed the software well and set the wifi setting too. But if you still have problem to get it work normally, please check the wifi setting video on the desktop or the following detailed instruction. 1. Connect the c5 tester to the vehicle and laptop by lan cable and obd2 cable at the same time, remember to turn on the car ignition switch.